These few lines from a once famous folk song “Click go the shears” come to my mind when Christmas, Australia Day and School holidays are all over. This folk song encapsulates the story and atmosphere of shearing. 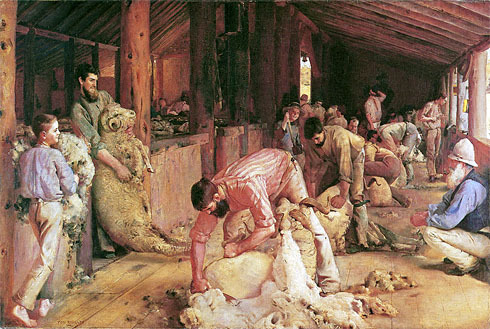 The clicking of the hand shears; the rivalry to be the gun shearer or “ringer”; the rudimentary “tar-pot- first aid” applied to sheep “… with a cut upon its back”; the celebrations after the strenuous shearing season came to a close. 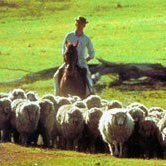 The wool industry is an important part of our history and our economy. It has been a profound contributor to Australia’s heritage. Why should that matter? Is history important? Many writers proclaim that understanding history helps us to develop strong roots. It helps a community to be resilient. Squatter, has a wonderful role to play in bringing a part of Australia’s history on to the dining-room table and to the classroom. It is our desire that in the course of a game of Squatter that curious minds will seek to explore our Australian history; our geography; our technology; our literature… because therein lies the pathway to understanding our place in the world. www.squatter.com.au is a launching-pad for a journey of discovery. This year the Squatter website will be growing some fat lambs on improved pastures and opening the farm gate to ponder the “I wonder why…” questions.